On lead vocals, guitar, songwriting and design, Londoner Paul has been playing and singing Rock ’n’ roll since 1976 when he answered an advert in the Melody Maker that led him to join Lol Lewis, Billy Sloane and original vocalist Gina Sloane as lead guitarist with Gina & the Rockin’ Rebels (who later became The Strollers). After almost constant touring in the UK, Europe and Scandinavia and many appearances on record, radio and TV, Gina retired from the circuit in 1997 after which Paul took centre stage with Lol and Billy, reforming The Strollers first as a three-piece in 2000 followed by expansion to a four-piece with harmonica and rhythm guitar in 2003 and finally establishing the current five-piece with piano and saxophone in 2009. 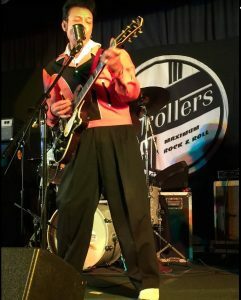 After a varied selection of guitars in the 70’s Paul has owned his trademark black 1957 Gretsch Duo-Jet since 1981 and plays though a Fender Blues Deville 4×10 combo or his original 1977 Marshall 100W superlead head and 1960’s Hiwatt 4×12 cab. On double bass and vocals and also from London, Lol too was in at the start originally playing rhythm guitar with Gina & the Rockin’ Rebels while Gina played bass! He quickly took over on electric bass and after much experimentation to find the right pickups, graduated to double bass in 1982. 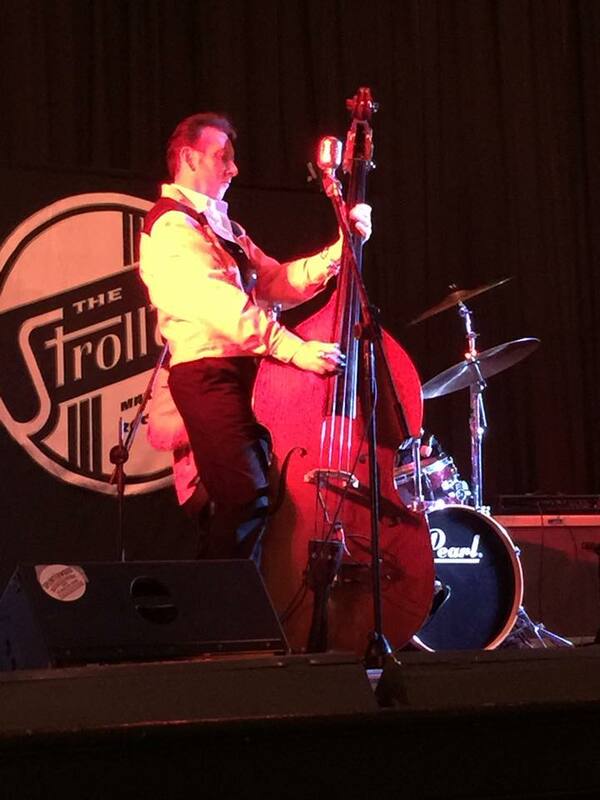 He now uses Bassmaster rockabilly pickups with an Ampeg head and 8×10 cab to produce that chest pounding sound that underpins the sound of the Strollers. In common with Paul and Billy, a milestone in Lol’s career was when at the tender age of 17, he and the band supported Bill Haley on his final UK tour and had the privilege of spending time with the great pioneer before his untimely death. Brother of original vocalist Gina, Billy and Lol first met at primary school in London and by the time they reached secondary school had discovered a mutual love of 1950’s Rock ‘n’ roll which led to them recruit first Gina, then Paul to form their first operational band. 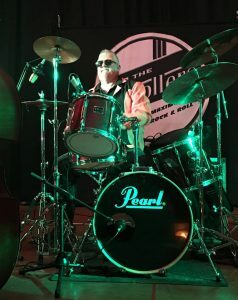 During his periods away from the band over the decades Billy has built up a considerable reputation as a DJ, dance instructor and even taught Ju Jitsu for a time but has always returned to the drums and has recently acquired his dream red Pearl Export kit. 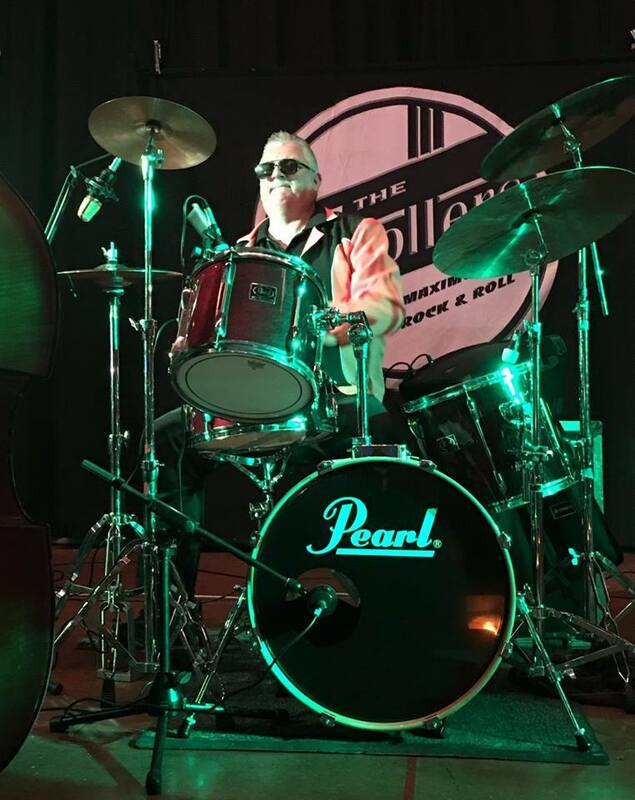 His unshakable rhythm can also be heard at select venues playing along with Paul and Brother-in-law Johnny Red in the legendary band, Johnny & The Jailbirds. 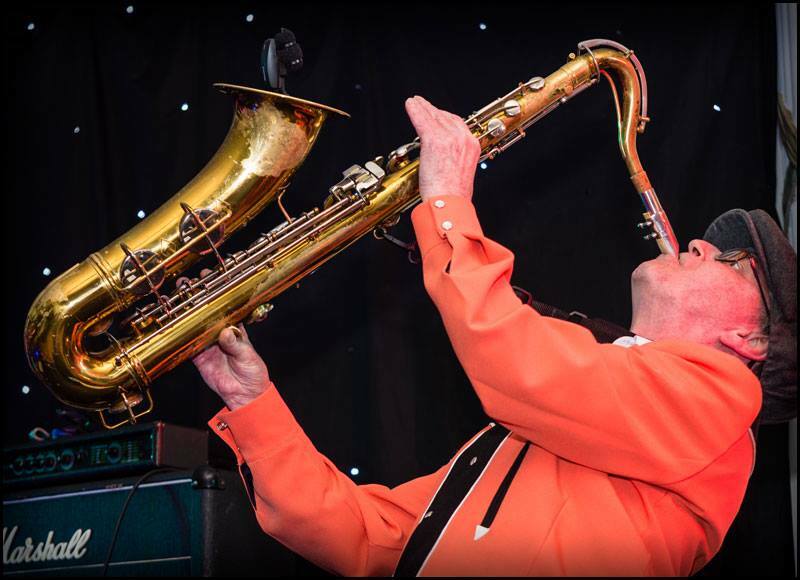 His prized Con tenor saxophone (bought on his 21st birthday) is now a highly sought-after collectors’ item and together with his Jupiter baritone sax gives the band the versatility to do full justice to all their great Rock ‘n’ roll arrangements. 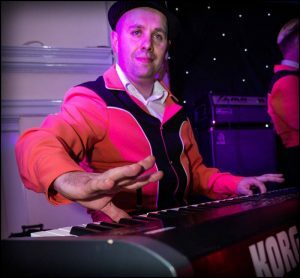 Keyboard virtuoso and technical wizard Krzys is the youngest member and earned his band miles playing all over Europe from his native Poland before moving to the UK and immediately establishing himself as a local star. Always on the lookout for new and better equipment, Krzys has many keyboards and after changing his stage piano several times currently uses a Kawai MP6.